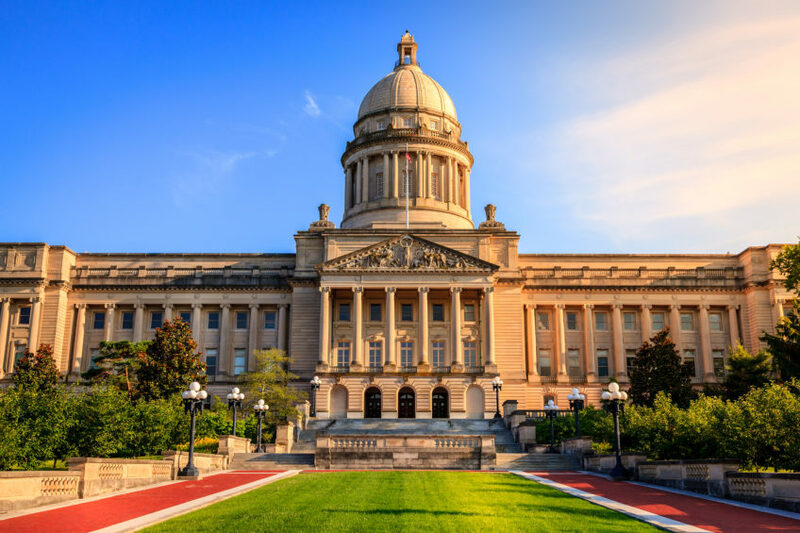 Aware of Kentucky’s economic troubles, Governor Matt Bevin proposed a $650 million (or 9 percent) reduction in baseline spending over the next two years. Exempted from these reductions in baseline spending growth are items considered to be budgetary priorities by the governor, including the Support Education Excellence in Kentucky program (SEEK), student financial aid, veterans benefits, first responder pay and the state’s anti-heroin efforts. Of particular note, Bevin has also proposed a $39 million increase in SEEK spending to maintain per-pupil spending levels in the face of an increase in the Kentucky student population. The most recent data (2014) from the Census Bureau shows Kentucky spends $9,312 per pupil on education, more than fourteen other states. According to NARO data provided by the National Center for Education Statistics, Kentucky’s 8th grade students only outperformed students in five of these fourteen lower-spending states on mathematics. The ALEC publication Report Card on American Education ranks Kentucky education policy a dismal 42nd nationally. The lack of charter schools and private school choice programs has denied children access to quality educational choices. More spending is not the solution. Improvement may be arriving shortly, as Governor Bevin just days ago signed legislation allowing for charter schools to begin operation this coming school year. Thankfully, Governor Bevin recognizes that Kentucky’s budget woes should be addressed primarily through spending cuts rather than tax increases. However, despite the potential improvements in Bevin’s budget, financial problems remain. Of the most pressing issues concerning Kentucky, the underfunded state pension programs are the most urgent. Bevin acknowledges this and has proposed investing more than the annual required contribution (ARC); in addition, he has proposed lowering the assumed rate of return for the Kentucky Retirement System lower than the present 6.75 percent to a “true” rate of return. In addition to the $1.1 billion in pension contributions, Bevin’s plan would reserve another $1 billion in future pension payments. 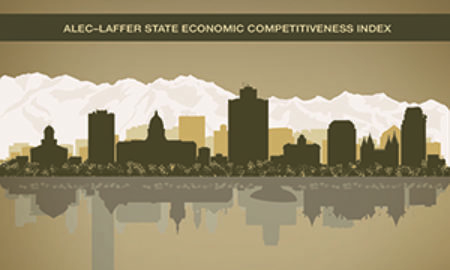 These are solid first steps in ensuring the state government honors its promises to the hundreds of thousands of public retirees reliant on these plans. Kentucky’s state pension plans are underfunded by more than $32 billion—and that’s presuming a rate of return far in excess of the risk-free rate. Yet Kentucky’s legislature consistently underfunded the programs from years past. 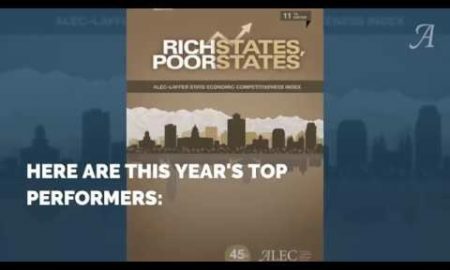 The recently released ALEC report Unaccountable and Unaffordable 2016 ranks the state’s pension funding level at 49th nationally. Using a risk-free rate of return of 2.344 percent (the average of the 10 and 20 year U.S. Treasury bond yields from March 2015 to March 2016), Kentucky’s state pensions are unfunded by more than $95 billion, or in excess of $21,600 per capita. 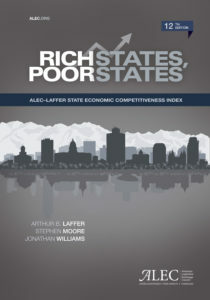 Lifting Kentucky from its dismal 33rd place ranking in economic outlook (according to 9th edition of the ALEC publication Rich States, Poor States), requires more policy changes. For instance, Kentucky’s top marginal personal and corporate income tax rates (state and local combined) are 9th and 15th highest in the nation respectively at 8.2 percent. And the Bluegrass State is one of a dwindling number of locales to levy a death tax. On a very bright note, Bevin signed legislation into law earlier this year that officially made Kentucky a right-to-work state, an important step in attracting business and expanding freedom of choice for workers on the decision regarding unionization. A continuation of this spirit of reform bodes well for the state’s future.